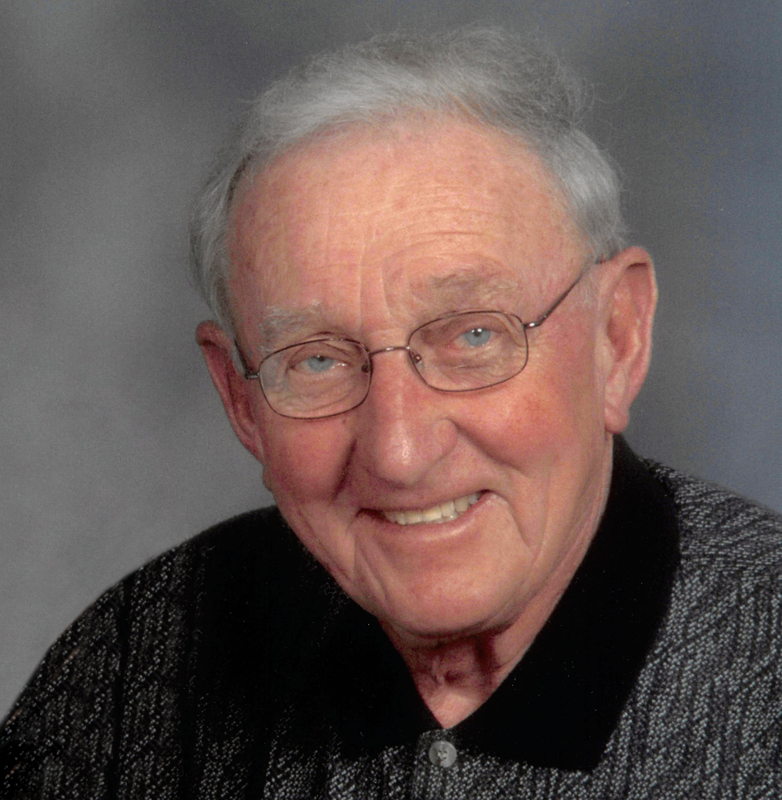 Obituary for Carl Eugene Hoeksema | Langeland Family Funeral Homes, Inc.
Carl Eugene Hoeksema, age 90, went home to be with his lord on Sunday, October 28, 2018. Carl was born October 6,1928, in Portage, the son of John and Effie (Kiel) Hoeksema. He lived in Portage most of his life. Carl went to Portage Schools, and for two years he served in Germany as a medic during the Korean War. Carl owned and operated Carl Hoeksema Greenhouses. He was a worshiper at Lakeland Reformed Church in Vicksburg. Carl loved to fish with his brothers, and looked forward to his annual Canadian walleye fishing trip. He traveled with his wife Carol to every state except Hawaii. They also traveled throughout Europe. Carl leaves behind many smiles, a sense of humor, and an example of Christian faith. Surviving are his wife Carol. Also surviving are their children Judy (Ed) Britten and Karen (Brent) Phillips, Mark (Kathy) Mastenbrook, and Kimberly (David) Westrate. He had eleven grandchildren. Scott McGee, Lisa (Dan) McLain, David Hyet, Travis Britten, Aaron Mastenbrook, Rachel (Curtis) DeVries, Beth Westrate, Bryan Phillips, Collin Mastenbrook, Kevin Phillips, and Jason Westrate. He also had seven great grandchildren, Mahalia Hyet, Eleri, Rian, and Nash McLain, Nicolas, Caroline, and Annabelle DeVries. Also surviving are his sister and brothers, Doris (Harold) Vliestra, Don (Nancy) Hoeksema, Dale (Marilyn) Hoeksema; and many in laws, cousins, nieces, nephews, neighbors, and special friends. Carl was preceded in death by his parents, his first wife Bernice (Metz) Hoeksema, daughter Debra (Hoeksema) Hyet, and brothers Jacob, Gerald, Jim, and Ed Hoeksema. The family will receive friends from 6:00 to 8:00PM on Friday, November 2nd at Langeland Family Funeral Homes, Portage Chapel, 411 East Centre Avenue. The funeral service to celebrate Carl's life will begin at 11:00AM on Saturday, November 3rd at Lakeland Reformed Church of Vicksburg 10442 S. Sprinkle Rd. A private family committal will be held in Central Portage Cemetery.